Yeah yeah I know “WHO has leftover wine?”. Not often me TBF. But it has been known – a big party here, a “I *really* shouldn’t have that last glass” after a pleasantly boozy Sunday lunch and knowing that there’s a big meeting on Monday morning. So, sometimes, and especially those of us who enjoy our wine, do have leftovers. Okay, this isn’t a recipe but – leftovers are sometimes the one thing you need to give you an idea for tomorrow’s dinner. 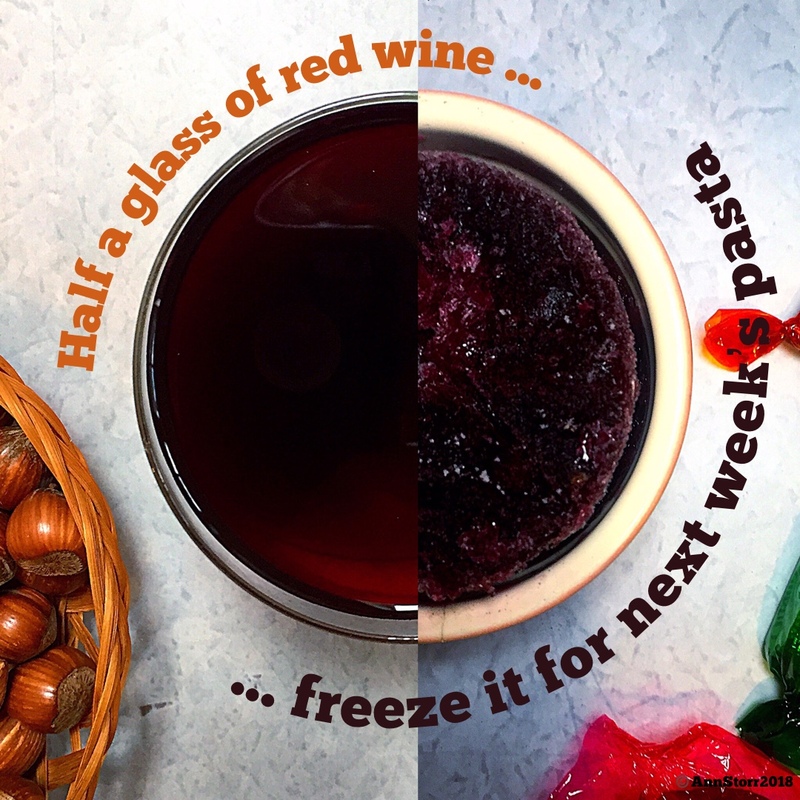 Knowing that a hefty glass of red is tucked away in my freezer is all I need to think about cooking a bolognese, or poach some pears, or make a hearty onion soup or gravy. Over Christmas we don’t always want or need to be cooking though! So pour that wine into a tupperware or ice-cube trays and save it for a quiet day when a sauce can bubble and pop.